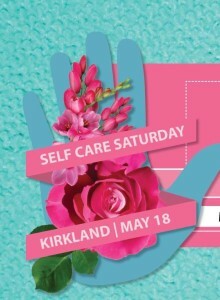 Girls Giving Back is excited to announce the first Be Kind 5 pop-up party 'Self care Saturday, in partnership with some of our fav Kindness Warriors and organizations supporting you in your best self. Workshops on the mind, body, wallet, planet and being a good neighbor. **The 5th Pillar, the Wallet (financial Health) will be an amazing mini class provided by Josh Label from Vita Intillectus in Kirkland. You wont want to miss this enlightening class on how to bring your finances to the next level.